If you were flying all the way to Thailand to tie the knot, then you’d probably be happy to rent a stunning wedding venue that you can enjoy with your family and friends. 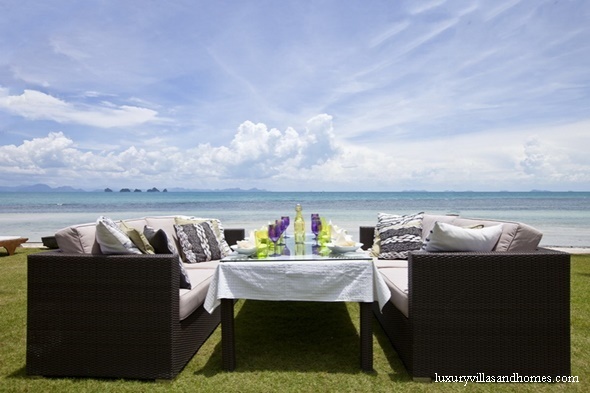 Thailand’s islands are home to an impressive choice of spectacular private rental villas that provide the perfect, exclusive tropical playground for the bride and groom to enjoy with their nearest and dearest during the happiest days of their lies. There are plenty of advantages to having your loved ones around in the run-up to and following your wedding celebration. If your guests have travelled thousands of miles to reach your wedding celebration in the Land of Smiles, you’re going to want to know they receive a wonderful welcome. If they’re staying in a private villa with the bride and groom, this is something you’ll be able to guarantee. 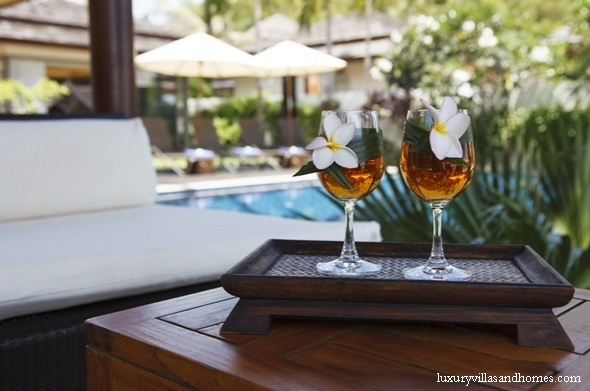 Dedicated villa staff will be on hand for their arrival, ready with chilled beverages and refreshing herbal towels for them to clean up before heading out to their bedrooms. Chilling out with a drink will also give friends and family to put their feet up after the long journey. It’s the night before the wedding, and all of your closest family and friends have gathered to celebrate with you. What better way to get into the party mood than sitting down to enjoy a fabulous meal prepared by your villa’s professional chef? Whether you fancy a surf and turf feast in the outdoor dining area overlooking the ocean, or a sit-down three course meal in the spectacular indoor dining area, the choice is yours. You will be able to co-ordinate with you villa manager and the chef to organise a delectable tailored menu that caters to everyone’s taste – you could even organised a themed meal if you’re feeling adventurous. Getting ready for the ceremony is one of the most exciting parts of the wedding day, as you can enjoy the build up to the exquisite tropical ceremony. Ladies can get together with the bride to do her hair and makeup while enjoying glasses of Prosecco and nibbles. Groomsmen could also get ready with the groom and make sure everything is properly prepared. 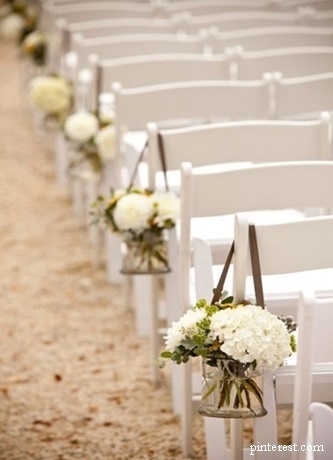 It could even be fun for guests to help lay out the special decorations that have been arranged. After all, this is a great way to make sure everyone feels involved and that they’re an important part of the process on the big day. 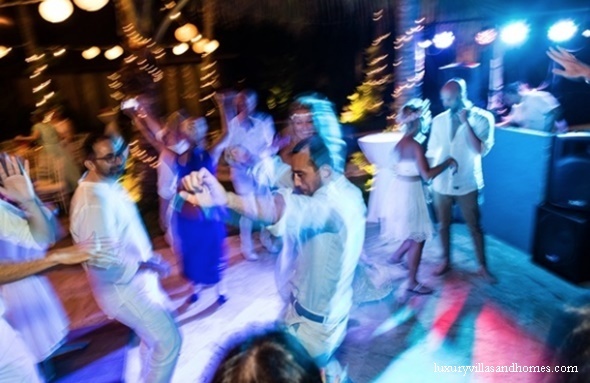 One of the best things about having your loved ones stay in the private villa with you for your wedding celebration, is that they won’t have a long way to travel home once the party is over. After a few hours dancing on your villa’s pool terrace, they will simply be able to head back to their bedrooms – just a few metres away – and crash out for a good night’s sleep. This also cuts out any hassle involved in arranging transportation. If one day’s worth of celebrating simply isn’t enough for you, then why not make the most of the fabulous facilities by throwing a pool party the day after your wedding? This will be another treat for your friends and family to enjoy, and a great way to say thank you to them for travelling thousands of miles to your wedding celebration. As your nearest and dearest will be staying in the villa with you, they’ll simply have to put their swimsuits on and walk a few metres to the pool terrace where the tunes will be playing, and a lunchtime barbecue already sizzling, it’s a wedding win-win.